1 plain and 2 textured envelope patterns for my 5" square Vintage Mother's Day Card. 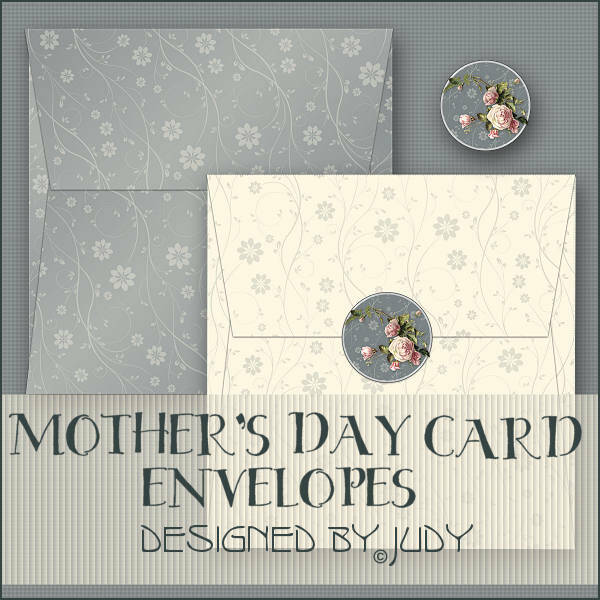 You can be quite creative using these envelope patterns. They look quite smart with textures printed on both sides of your paper to create a "lined" envelope. Thanks for the envelopes. They are so elegant and special. Judy, these are so lovely. You are a very creative lady. Thank you for these lovely gifts. Thank you VERY much for the Mother's Day card and envelope. I do so appreciate them!